Beyonce's self-titled new album dropped over the weekend with no advance whispers, no fanfare and absolutely no hype. When the clock struck midnight on Friday, the singer, 32, simply posted a message on Instagram. "Surprise!" it read. The megastar had released a new album on iTunes. It contained 14 songs and 17 music videos, and it left fans and industry experts alike wondering just how Beyonce managed to pull it off in such secret. Andrew Hampp, senior correspondent with Billboard magazine, explained that there were code names used at every stage of the production process to avert the possibility of leaks. "Every song had a code name, every video that was being edited had a code name, and the album itself had a code name around Columbia offices known as Lily, only known among senior executives," he said. Hampp added that the release date kept shifting. "It's a moving deadline because Beyonce wanted it to be perfect," he said. "She was essentially able to cancel out any negative press about herself … about missing these supposed deadlines by doing it all on her terms." As the agreed-upon release day approached, all of the people involved - the extras, directors, producers, her label, and those at iTunes - were reportedly required to sign non-disclosure agreements, Hampp added. Once the secret was out, Twitter was abuzz. In fact, the stealth album release generated 1.2 million tweets in 12 hours. "Beyonce has accomplished what really no other has done by going 0 to 60 in terms of awareness of a new album," Hampp said. "In the first 24 hours she sold nearly half a million copies." 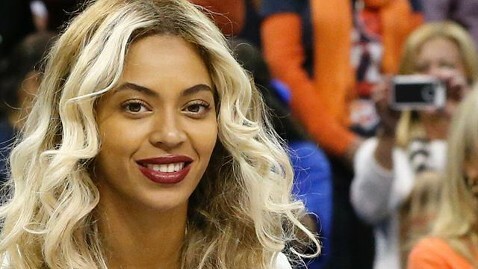 In a press release after the release, Beyonce explained that she released the album this way because she wanted to change the way she'd done it before. "I am bored with that," she explained. This way, she said, "I feel like I am able to speak directly to my fans." She added that wanted to avoid anything coming between her, her music and her fans.